This three-day event is mandatory training for anyone looking to be a foster or respite parent. See the graphic at the top of this page for times. 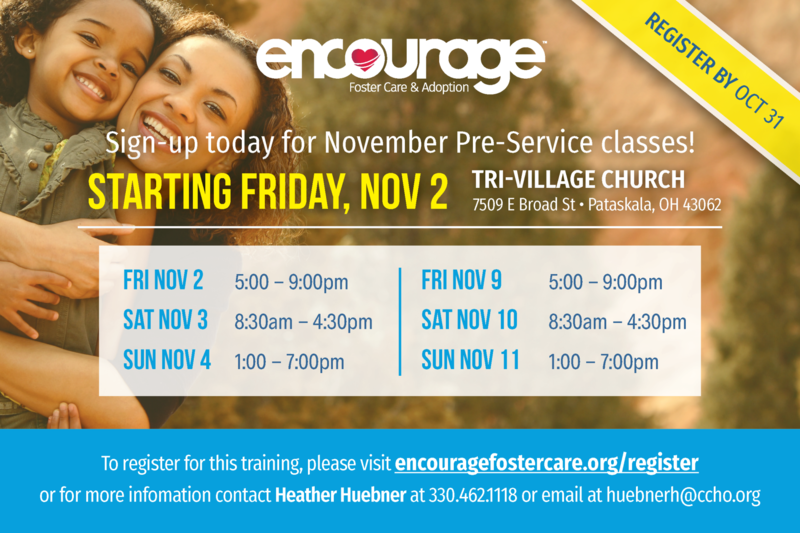 To register, visit encouragefostercare.org/register.